When you study the great innovators and achievers in history, it turns out that they weren’t necessarily smarter or inherently more talented. They simply released their fear of failure and kept trying. In school, we have classes on all sorts on functional skills such as science and math (by the way, when was the last time long division came in handy for you at work?). One skill that that few of us ever learn, however, is how to make mistakes: How to learn from setbacks. How to embrace failures to enable future successes. How to get up from being knocked down, and rise up with the confidence of the undefeated. 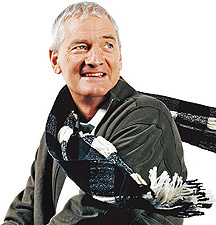 James Dyson, the inventor of the Dyson Vacuum cleaner, “failed” at over 5,000 prototypes before getting it just right. In fact, nearly every breakthrough innovation came after countless setback, mistakes, and “failures”. When you study the great innovators and achievers in history, it turns out that they weren’t necessarily smarter or inherently more talented. They simply released their fear of failure and kept trying. They didn’t let setbacks or misfires extinguish their curiosity and imagination. What is the tolerance for making mistakes at your company? Many organizations have mission statements filled with buzzwords about innovation, yet sharply penalize risk-taking and setbacks. The best creative ideas often come from experimentation. Rather than thinking of something that doesn’t work immediately as a “failure,” think about it as an experiment. Each experiment that doesn’t work provides valuable insight, leading you one step closer to a solution that is perfect. This week, gather your team and encourage failure. How about a contest for the best failure to let people know it is better to unleash their creativity, even if the end result isn’t ideal? Why not issue an assignment to see who can come up with the most outrageous idea (instead of the safest)? Push your team to “fail”, and you’ll end up unleashing an abundance of creativity that you didn’t even know existed. Building a culture that encourages risk-taking and celebrates “failure” as a step closer to breathtaking innovation will separate the top-performing companies from the also-rans.